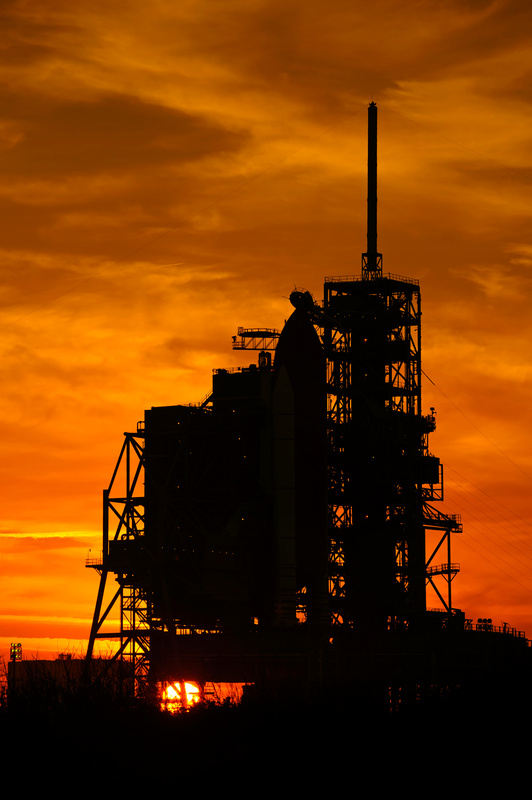 The space shuttle Atlantis photographed as the sun sets on pad 39A last week - shortly after it's launch was scrubbed. Atlantis will carry the European-developed Columbus laboratory to the International Space Station in January 2008. Seven astronauts, including two from the European Space Agency, will fly aboard Atlantis for the STS-122 mission. Slight alterations done to the original shot using NoiseNinja and 55mm film tools. Well done on the image Phil. Amazing colorations and a superb silhouette!! Great colour. Thanks for this. Awesome caramel sky. Added to favorites. Thanks Phil. As always, a true artist for NASA.